Performance truck lovers are still biding their time waiting for the 2017 Ford F-150 Raptor to arrive, and Ford has done its level best to string out some of the drama surrounding its off-road monster for as long as possible to keep potential buyers titillated. Hell, it’s been more than 18 months since the thing was revealed and we still don’t definitively know how much horsepower it’ll get. The 2017 F-150 Raptor will offer six drive modes to handles six different kinds of terrain: Normal, Sport, Weather, Mud/Sand, Baja, and Rock Crawl. All six are fairly straightforward, offering pretty much what it says in the name. If you’re driving your Raptor to and from work, you’ll want Normal mode—so long as you aren’t driving up the side of a mountain to work at a bank located at its peak or driving across desert dunes to serve smoothies at an Orange Julius, of course. Sport mode is for track day and on-road performance, allowing for better throttle response and quicker shifts. Weather Mode engages 4 Auto to make driving on slick or snowy roads less of a problem and make driving over snowbanks off-road an unbelievable thrill. Mud/Sand mode is particularly effective for off-roaders, engaging 4 High and the F-150’s electronic locking differential to keep performance tight and setting the steering to allow for better navigation along trails. 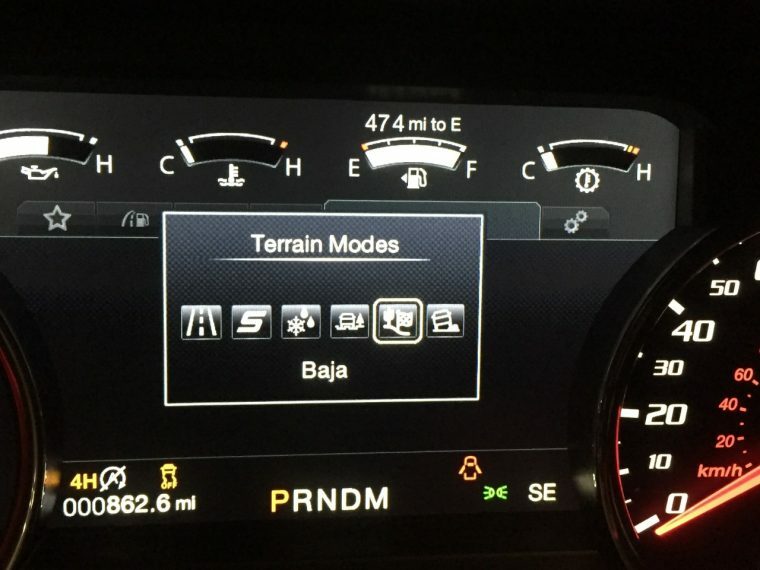 Baja mode engages 4 High, takes out as much of AdvanceTrac’s influence as possible, and sets the throttle map for linear power and better response for to make long runs through the desert a thing of reality. Finally, Rock Crawl moves to 4 Low, engages the electronic locking differential, and sets AdvanceTrac low to adjust to rocky terrain while turning on the front-facing camera at speeds up to 15 mph to give the driver better visibility. 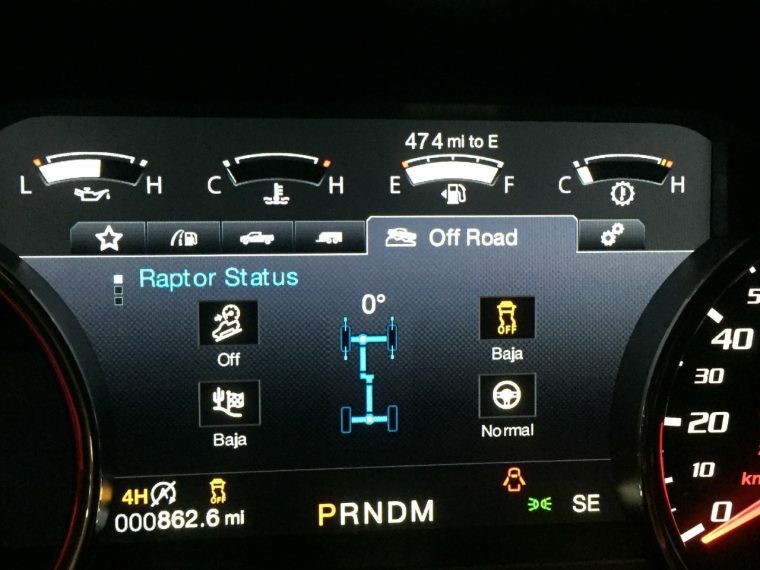 Ford also notes that traction control can be turned down without turning off stability control by pressing the electronic stability control button, and that AdvanceTrac can be turned off altogether by pressing the button down for five seconds. The 2017 F-150 Raptor is due the arrive at dealerships this fall. Get ready.